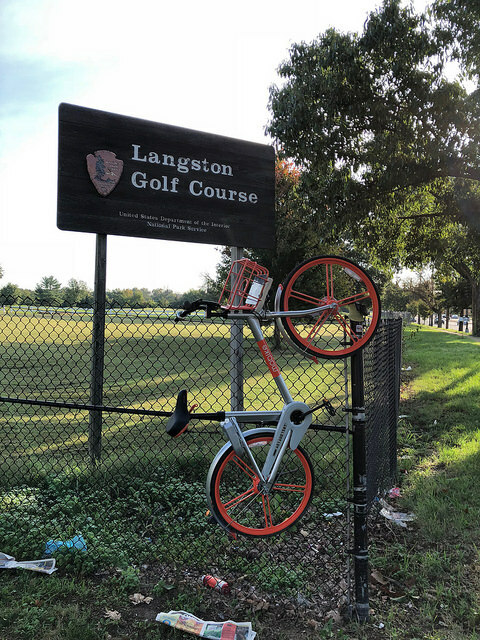 PoPville » Where’d You Find A Dockless Bike Today? Vol. 24 – Fore! Where’d You Find A Dockless Bike Today? Vol. 24 – Fore! Thanks to Jason for sending. I’m burned out now. Unless someone spots Trump riding one, I will conclude ‘Where’d You Find A Dockless Bike Today?’ with one final post compiling the dozens I have remaining in the queue. Cheers and thanks again to so many folks for sending in!